Since the production of the first Cobra in ’62, by Shelby, the beautiful Cobra car has taken the world by storm. 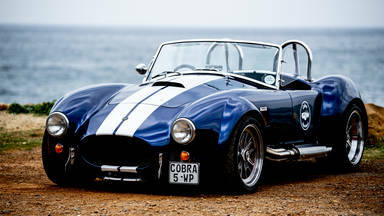 If you’re looking for a way to tour the Cape Peninsula, why not ride your way – in a Cobra? As the official agent for Backdraft Racing, we bring you a fleet of factory-built Cobras, here's your chance! 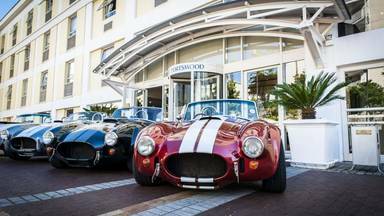 With Cobra Experience, you can embark on a self-drive journey and witness the true beauty Cape Town has to offer, making memories in a classic-looking race car with a contemporary twist (and a fun V8 engine, yes, yes). Prepare to feel the engines roar vibrate through your body and exhilarate you when you drive this magnificent beautiful car. Nothing will prepare you for the experience of driving a Cobra, make sure to live the experience, now. We hired 2 x Cobras and just had the best day. The girls drove as well and we couldn’t wipe the smil... - Grant Turnbull . Book things to do at Cobra Experience. Find the best things to do at Cobra Experience. What people say about Cobra Experience. We hired 2 x Cobras and just had the best day. The girls drove as well and we couldn’t wipe the smiles from their faces. Everyone was a Rockstar for a day. What a way to enjoy the beautiful scenery of Cape Town. 5 Star experience. Live for a day! Awesome experience!!!!. Also enjoyed all the attention I got. Fantastic day in an amazing car! Loved every minute and there could not be a better place to drive it!!!! The check in experience was simple and efficient... a little relaxed compared to the normal rental car procedure which suits me however we had no issues with the car and it was brought back in the same condition therefore relaxed was good. Enjoyed the car, the experience and the simplicity. Thanks for a great day.